This tour will familiarize you with Nassau proper as you take the ride through downtown, past the Parliament Square and the Queen's Staircase, a major landmark here. The National Public Museum, the Royal Victoria Hotel, the relocated Straw Market will all be part of the tour before you stop at Nassau's famous Ardastra Gardens. Here you can roam over the five acres of nature filled with exotic fruit trees, coconut palms, ackee and mango trees, brilliantly colored bougainvillea and hibiscus blossoms of every hue. 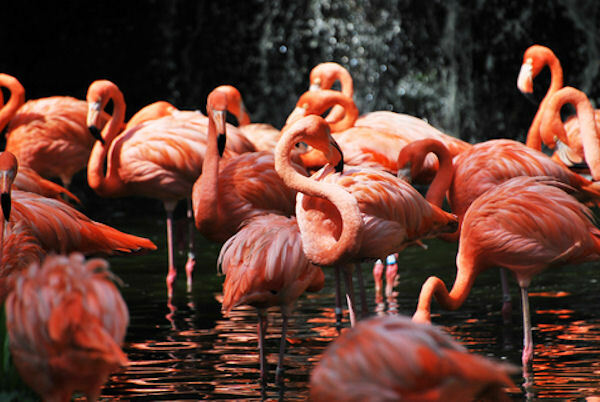 Most of all, we will make sure you arrive in time to watch a special show of the marching flamingoes, referred to by some as the 'ballerinas in pink'. Three times a day, the flock of flamingoes march to the commands of a friendly drill sergeant, bobbing this way, turning that, dutifully obeying the marching instructions. It is a sight to be seen and remembered. We will take you back to Prince George Wharf where you can get back on your ship or backtrack through some of the lovely shops you passed during the tour. Don't forget your camera. Child's rate is for children ages 3 to 10 years old. Under age 3 is free, over age 10 pays the adult rate.